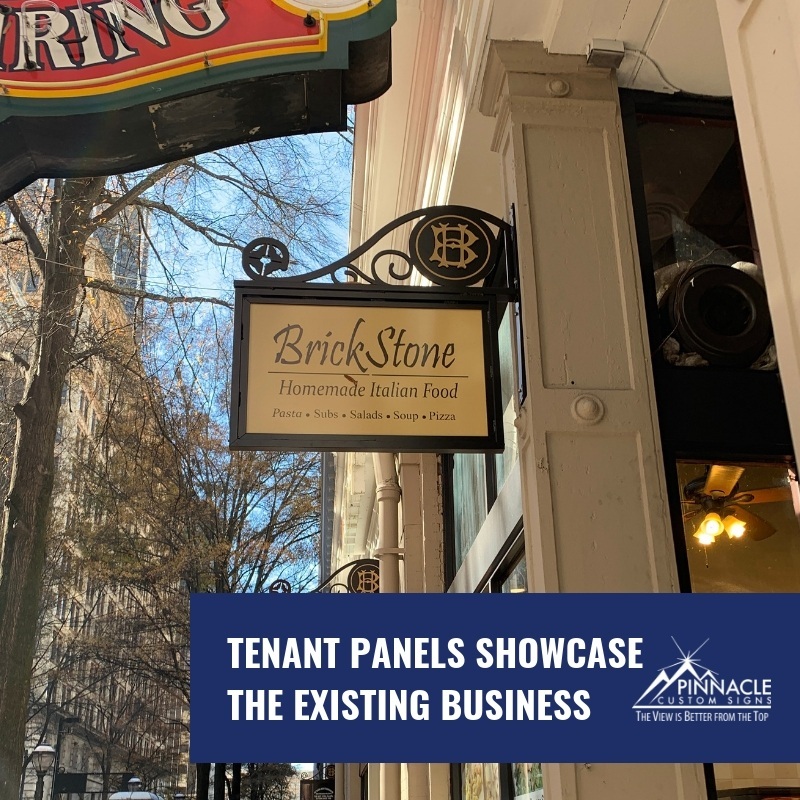 We worked with Equitable Management to create tenant signage for the commercial space at the base of the Healey Building in Atlanta, GA. 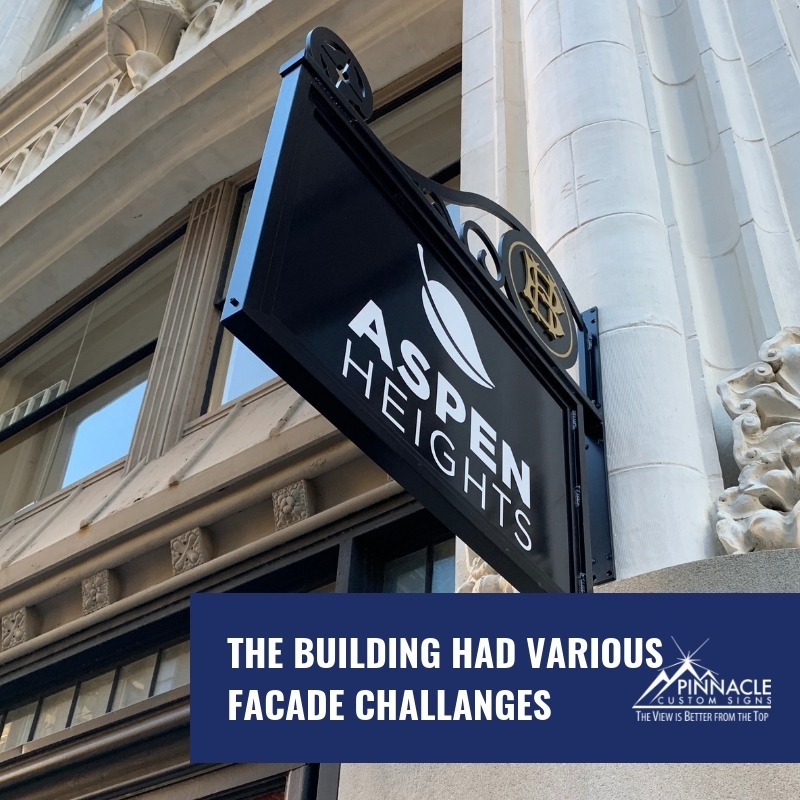 In July of 2018, Equitable Management contacted Pinnacle Custom Signs about assisting with new signage for the historical Healey Building in Atlanta, GA. They were looking for a vendor who could fabricate and permit 22 ornamental signs for the existing tenants. Due to the historical status of the building, the project was challenging. We worked to modify the original sign concept so that it would meet the requirements for the installation height, appearance, and projection from the building. In the end, we installed permanent sign brackets which we secured the tenant panels to. This allows for these signs to be updated with ease. Typically, a single sign permit can be submitted when working on a project with multiple related signs; however, in this case, each of the 22 tenant signs had to be individually permitted by the historical committee. The rules and guidelines are key to a project progressing smoothly. Our experience in dealing with the local ordinances and rules of a wide range of jurisdictions enabled us to easily handle this project. We obtain dozens of permits each month for our customers and offer this as a service for a nominal flat plus the sign permit cost /or/ we can provide you with the information to apply for the permit yourself. It is important to start your sign project right from the beginning by understanding how the rules and regulations affect your project. If you are interested in a new sign for your business, please contact us today!